UNDOUBTEDLY ONE OF THE MOST DESIRABLE MODELS AND FINEST DROP TOP BMW HAS PRODUCED. IT COMBINES EFFORTLESS ELEGANCE WITH EVERYDAY PRACTICALITY AND AN EXCITING DRIVE. ATTENTION TO DETAILS FROM BMW IS SECOND TO NONE FROM THE HEAT REFLECTING LEATHER TO THE EASY ACCESS BOOT AND THE METAL FOLDING ROOF IS ENGINEERING PERFECTION. 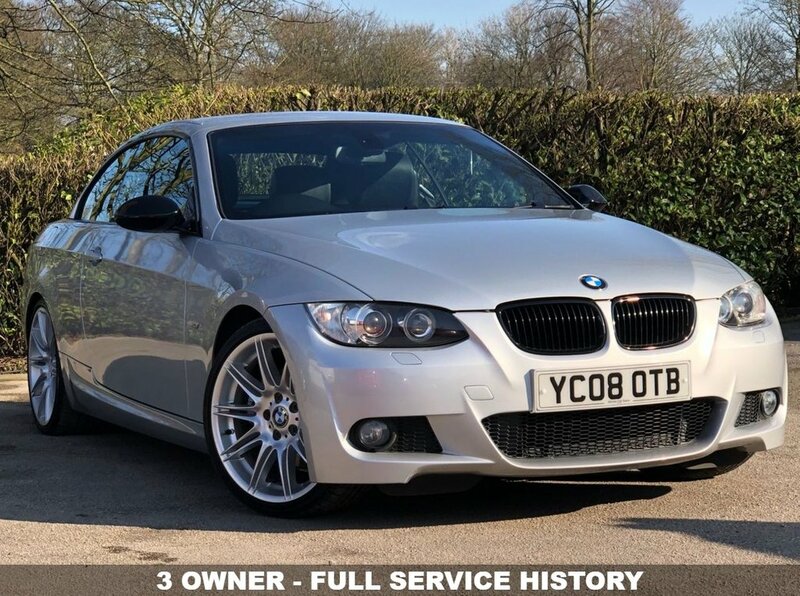 THIS 3 OWNER M SPORT WE HAVE ON SALE IS IN SUPERB CONDITION INSIDE AND OUT AND LOOKS STUNNING FINISHED IN SILVER. A WELL MAINTAINED CAR IT HAS FULL SERVICE HISTORY CONSISTING OF 10 SERVICES THE LAST DONE AT 70043 MILES ON THE 19/09/2018. THE OUTSTANDING 3 LITRE ENGINE HAS BULLET PROOF RELIABILITY, SOUNDS DELIGHTFUL AND HAS A RESPONSIVE AND SPORTY NATURE COUPLED TO THE AUTOMATIC GEARBOX AND THIS CAR IS A DELIGHT TO DRIVE. THE M SPORT IS PACKED WITH FEATURES AND WITH ITS SPORTS SUSPENSION AND AERODYNAMIC PACKAGE GIVING THE CAR A MORE GROUND HUGGING AND SPORTY STANCE THIS CAR REALLY STANDS OUT. THIS CAR WILL COME WITH A FULL MOT+ SERVICE + WARRANTY + 1 YEAR AA ROADSIDE.